Thanksgiving is one day on, Black Friday has hit the towns, the crowds are building, so that can only mean one thing – we can officially shout about Christmas! 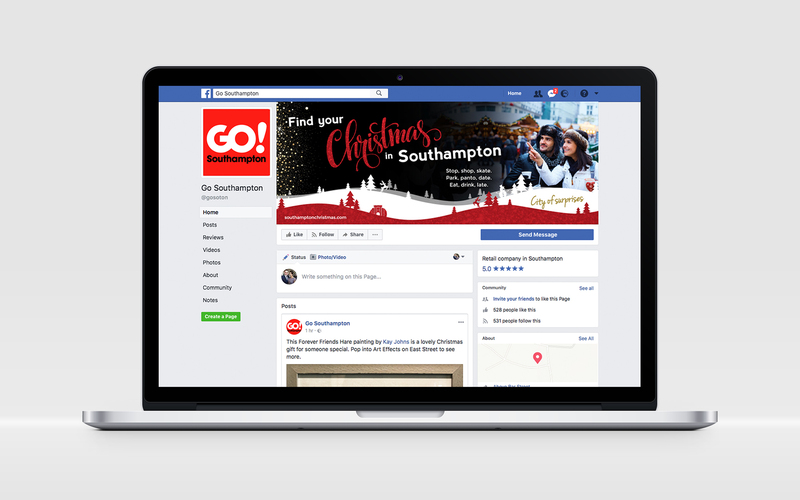 And this week, to help us get in the mood, we’ve been working with the lovely team at GO! Southampton to create a festive campaign. We were approached by GO! 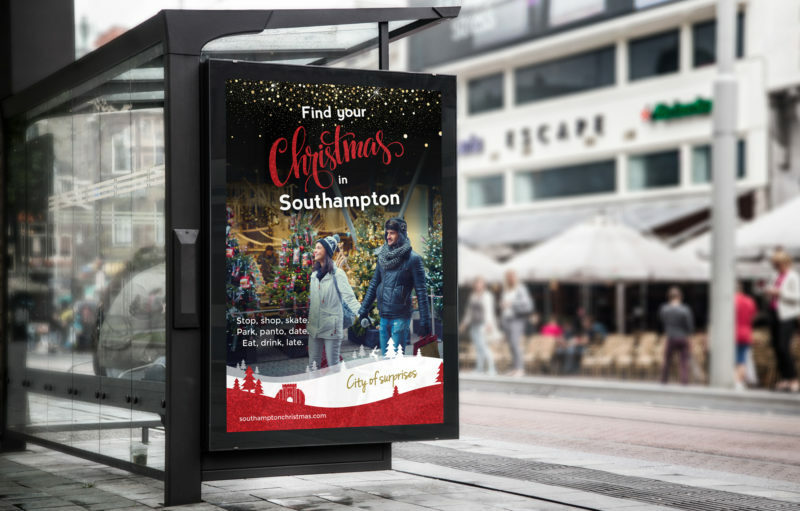 Southampton to design a series of media adverts to help increase footfall across the city during the Christmas period. Southampton has so much to offer; it’s a city full of variety: big shops, little shops, boutiques, culture, eateries, fun, a great airport … and of course football . Just for the record the Glow boss supports Arsenal, (her older brother quizzed her daily when she was six – she senses this was a game he enjoyed more than her – to name all the players, and it stuck), so there are no football allegiances here. 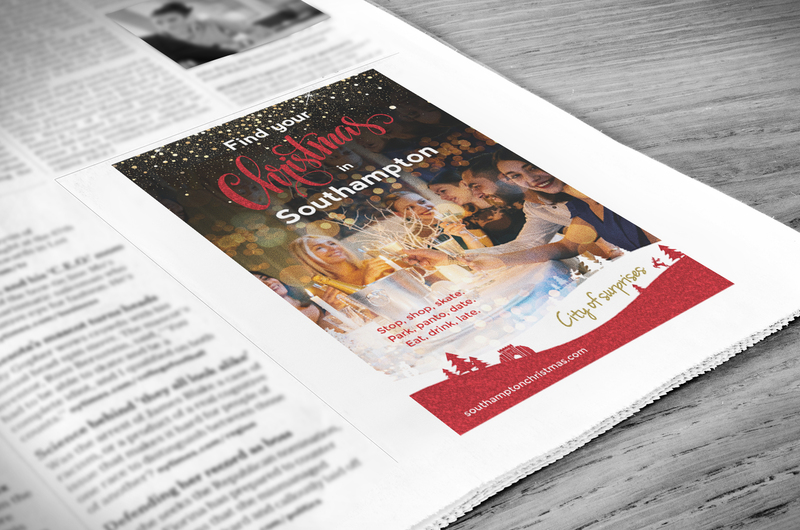 Back to the creatives … we wanted to communicate the magic of Christmas, the sparkle, love and warmth, while also focusing on what Southampton has to offer, all in one space! ;). Achieving this is just what our design and brand team relish. And it was a whole team approach, throwing together ideas, researching images, producing creative copy, producing it again when it didn’t work & playing with different styles. Go! Southampton were great too; coming into the Glow office – fuelled on Oreos and coffee – to help with the designs. The result is a suite of fabulous press adverts, Facebook & Google adverts, large outdoor posters, web banners and window competitions. If you’re in the Southampton area, online or reading the press you’re most likely see them, but just in case you don’t get to view we’ve included a few here too. We hope you like! Little extra bit: GO! Southampton is the Business Improvement District (BID) for Southampton City Centre. Funded and led by local businesses, the BID exists to implement improvements to the city centre, creating a better city centre experience which can then be marketed and in turn will generate increased footfall to the city centre.